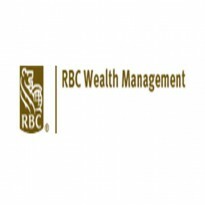 The Woo Group RBC Wealth Management is a team of trained and proven investment professionals who are dedicated to providing customized wealth management solutions to our clients. There’s Wealth in Our Approach. The return to higher, conventional interest rates should be the biggest game changer in years for bonds, stocks, and currencies. The greenback seems like it’s already embarking on a multi-year period of outperformance. Read the full financial markets commentary, as well as asset-class views and key forecasts, in the latest edition of Global Insight. Our wealth management process begins with understanding each client’s unique needs and developing an appropriate risk profile. The profile is used to create a basic asset allocation and to select an appropriate investment strategy. Once a client has embraced a sound asset management strategy, the focus moves to creating a comprehensive wealth management plan including retirement planning, tax analysis, insurance needs and estate planning. While prudent asset management is vital and planning plays an important role in wealth management, these activities have to be integrated to align financial resources with life’s goals. The Woo Group has relationships with leading estate planning attorneys, insurance brokers and accountants for coordination and seamless delivery of world-class expertise as part of its wealth management process.